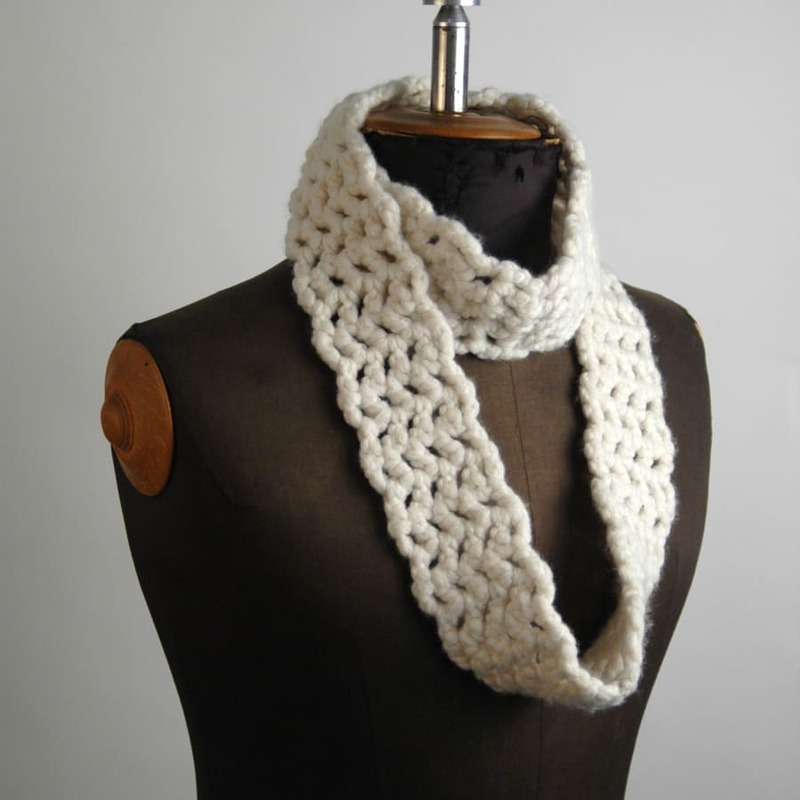 Curious about crochet, but not sure where to begin? Then this is the class for you! In this class you will learn all the basic stitches that you need as an introduction to Crochet. You can then pick a pattern to make yourself a scarf or to start on your very own Granny Square blanket. The Chevron Scarf patterns comes in 3 different shapes; straight & simple, skinny infinity loop or a button-up snood. The Granny Square is one of the most loved and iconic crochet patterns, and can be used as a starting point for many fantastic creations or accessories, as well as the classic blanket. Some materials and hooks will be provided for you to use while you practice the stitches and you will also get a 10% discount in the shop for you to get started on your chosen project! Sanna did a great job at creating a lovely morning. We learned a lot about crochet (3 different stitches) and made a start on our own projects (the flexibility to choose our 'own adventure' was great). The snacks were much appreciated as well :-). So happy with this class! I’m left handed, a beginner & a failed knitter, but left feeling confident with my snood well on its way. 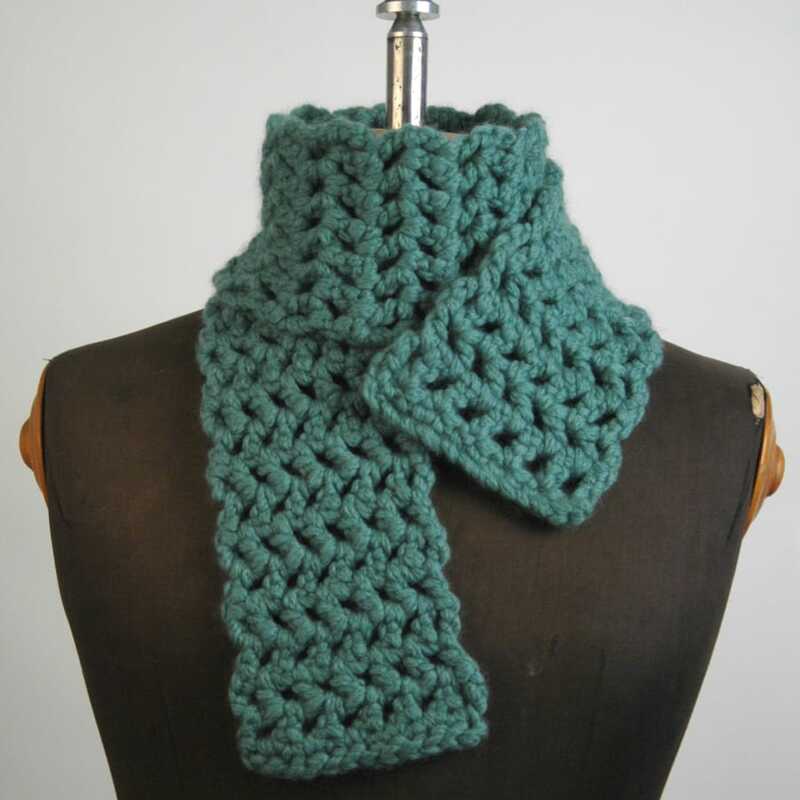 Loved the flexibility to deviate from the designs pictured to make a wider, chunkier snood. Friendly, knowledgeable, patient and a great teacher. During my class with Sanna I learned how to set up a chain of crochet stitches, do single crochets in my first row, the difference between double and treble crochet stitches, how to read a normal and amigurumi (sp?) patterns, the difference between UK and USA patterns and terminology, and how to finish my work. I have since crocheted my daughter a dress and made her Halloween costume hat myself. I was an absolute beginner and being left-handed, using books to teach myself did not yield much success. Sanna has given me the confidence to start projects I would not have dared do before, and add crochet finishes to my knits. I would highly recommend taking a class with Sanna. She is generous with her time and will get you going so you can continue at home. Great class, thought Sanna was a brilliant and very patient teacher, three hours felt like five minutes. I met Sanna in a coffee shop for a 2hr private lesson. I had uread a book and taught myself the basic stitches, but I had reached a brick wall and needed guidance. I decided on a project I wanted to tackle beforehand and Sana had prepared for this. It was not awkward at all, like meeting an old friend. We immediately set to work. Sanna is a very competent teacher, and I left feeling very pleased with my progress. With so many more skills still to learn, I will definitely attend a workshop of hers. I've had a two hour lesson previously with Sanna, so I had no hesitation booking a class when I realised she was running one. It was a lovely afternoon spent in the back of the shop, working away in the little studio. Reassuring to have the advice and expertise on hand. This lady really has so much knowledge and skills to share. Wish I'd gone to her sooner - would have saved a lot of frustration. Such a natural teacher. Sanna is a great teacher and the class was well run. Sanna King is the resident crochet teacher at Knit With Attitude in Stoke Newington. Sanna might not have picked up much Finnish from her mum, but she definitely picked up her crafty skills! She was taught how to crochet at an early age, but then it got a little lost amongst all the other making skills she was developing over the years at school, college and in her freelance career. When she re-discovered crochet about 15 years ago, she re-ignited a passion for it and was glad to see her hands had not forgotten how to do it! "Crochet is such an intuitive craft, and even if you are relatively new to it, you can still create some amazing things, that look so much more complicated than they actually are to make!" Sanna has been teaching and passing on her skills for several years now, and especially enjoys teaching absolute beginners, or people who have tried to learn it before, but have previously been unsuccessful.
" I love that moment when you can see that somebody has finally 'got it' especially if they were struggling at first! It is so rewarding! Although it's also really nice teaching people who pick it up easily or have a natural talent for it too!" 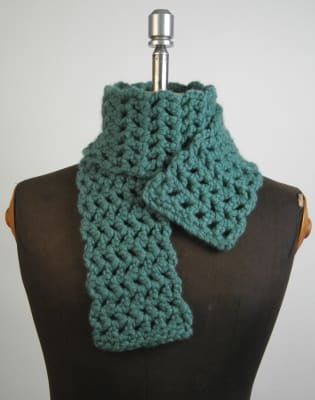 Most of Sanna's classes are designed to teach you all the basics of crochet that you need to know, and the skills to read and understand patterns. Then she will get you feeling confident enough to head off in whichever direction you wish to go with it, depending on where you want your crochet journey to take you. "Whether you like to follow a pattern or prefer to freestyle and make something totally unique, once you have cracked the basics of crochet, the world is your crafty oyster!"